Developed as part of Show in a Bag an artist development initiative of Dublin Fringe Festival, Fishamble: The New Play Company and Irish Theatre Institute to resource theatre makers and actors. 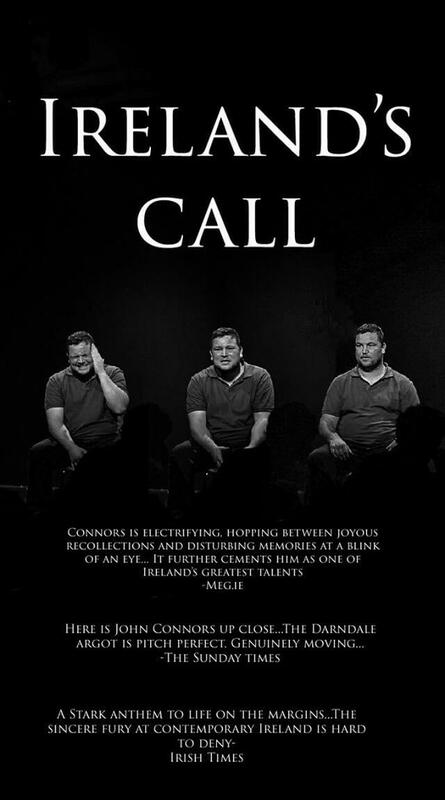 John Connors, the award-winning Love/Hate actor, has made his debut as a playwright with this a one-man show about three Dublin teenagers being enticed into a life of crime. Follow the lives and family histories of three young men as they grow up in Coolock on Dublin’s northside. What shapes them and entices them to a life of crime? Examining issues of class, religion and identity, this new play is an unflinching exploration of the Irish psyche, bringing our collective guilts, secrets and flaws to the surface.